Recently I was honored by Blandina of La griccia, who selected me to receive this award. I am SOOO honored because Blandina is definitely a gorgeous blogger. What I love about her blog is that it is in Italian and English. Not only does she write about all her creative projects she regularly posts picture of her life in Italy. The image above is hers, Florence in the first bud of spring ~ BELLO! I love visiting her blog, because I feel a connection to her and her home whenever I do. In accepting this award I have been asked to answer the following questions. When did you start your blog? May 2010. What do you write about? I write about what is happening in my creative life, which includes quilt making (and other crafts such as knitting and embroidery), social practice, and craft therapy. What makes this special? I try to share the inner motivations of my work and to illuminate the process of improvisational quilt making (and craft in general) as a spiritual/life practice, as something more than design alone. What made you start writing? I turned down an offer from Random House to write a book on quilt making last year because the timing wasn't right and the offer wasn't so good, but I enjoyed the process of writing so much I decided to publish a blog instead. What would you change in your blog? I am still trying to find ways to communicate clearly and resonate deeply with people who visit my blog. I would like to foster more discussion, community and interaction with readers and other bloggers. I never realized how much fun blogging and connecting with others through blogging would become when I started this! 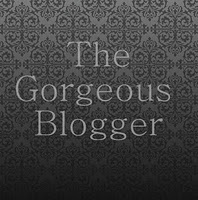 Of course there are many more Gorgeous Bloggers out there. Every time I start wandering I find another blog that amazes me. Who would you nominate?